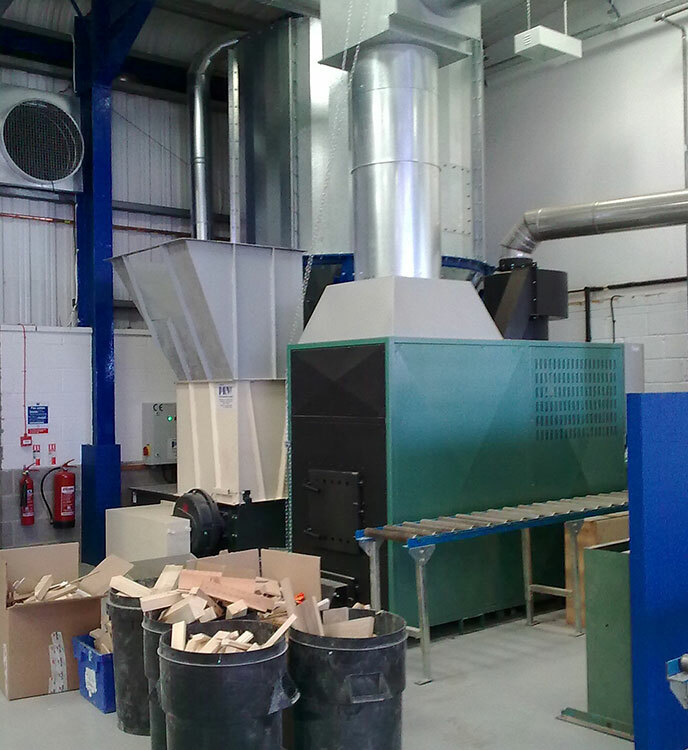 Dustraction’s wood waste heaters are of a robust construction, simple to operate and provide cost effective workshop heating with the added benefit of wood waste disposal. The concept is quite simple: wood waste is transported to a storage silo and fed directly into the combustion zone via a temperature controlled screw feed system. The equipment contains specially built cyclones, augers and hot gas fans which have been designed for a long working life saving you considerable expense in the future. Our automatic heaters are manufactured in two sizes with an output of 146kW per hour (500,000 BTU per hour) and 292kW per hour (1 million BTU). 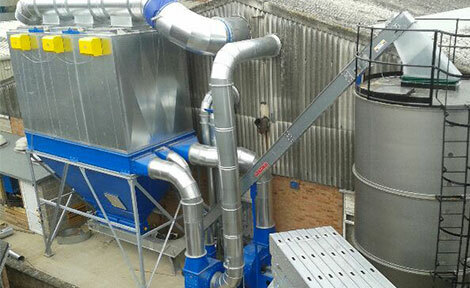 The heat is transfered back into the workshop in the form of warm air, or alternatively in the summer months the system can be used as an incinerator and heat dump the warm air into the atmosphere. Turning a wood waste product into a source of energy can dramatically reduce your heating bills and waste disposal costs. Often giving a return on investment in a very short period of time saving you tens of thousands of pounds in the years to come. Wood waste chippers can also be incorporated into the system to allow you to dispose of your off cuts along with all your extracted waste. 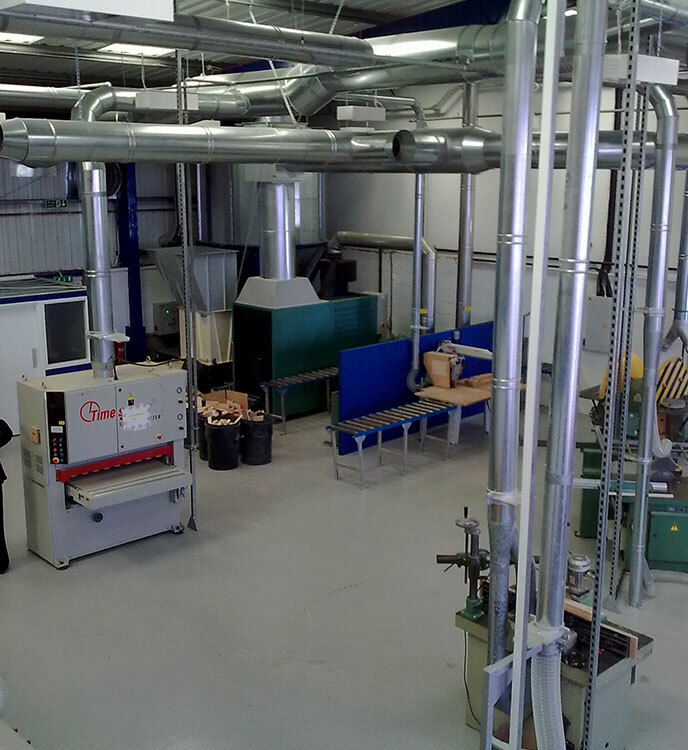 Automatic wood combustion heaters make sound environmental and financial sense. Paul Manchett reckons he’s going to double sales at Handcraft Manufacturing in the next 6 months and is installing new production machinery and wood waste technology accordingly. 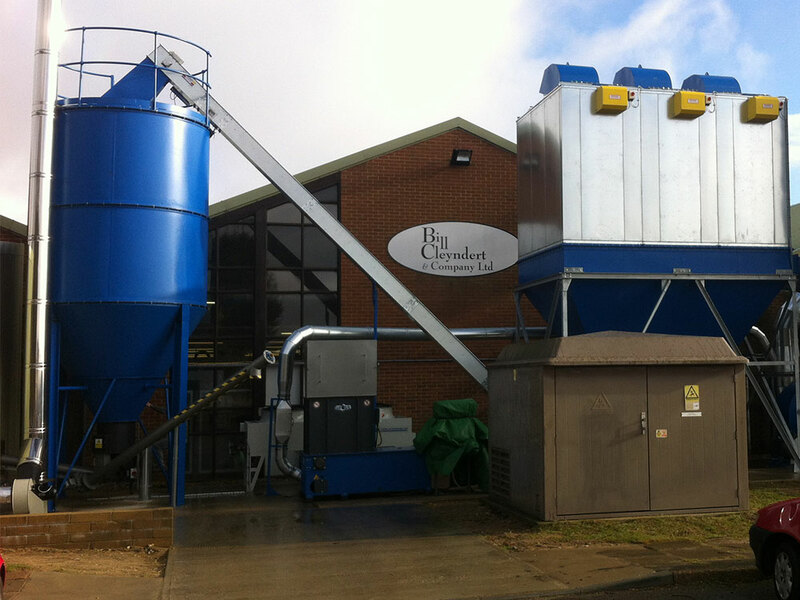 The latter has been a challenge because he needs all the floor space he can get; there is only a narrow footprint to the rear of his new Wellingborough factory and that is completely inaccessible to vehicles for the installation of filter, fans and ducting and also for an inclined elevator and silo to feed a new wood waste boiler.